A look at social changes in Britain in the years from 1950 to 2010. Lots of interesting reflections of what has disappeared from our lives and how attitudes have shifted. An enlightening read. Free on Kindle. 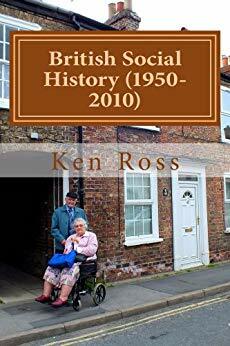 Find more books like "British Social History (1950-2010)" by Ken Ross on kobovskindlereviews.com. We feature both reviews of ereaders and discounted + free books on Kindle. Browse more books in the History. Disclaimer: "British Social History (1950-2010)" price was accurate on April 11th, 2019. However, Amazon Kindle book prices can and do change frequently and without notice. Before you buy a book on Kindle, it's best to double check the price. If you purchased a Kindle book that you thought was free, you can return it by following the Kindle book return instructions here.